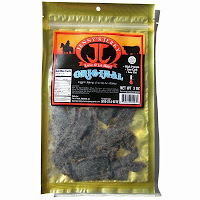 Jenny's Jerky is one of the newest jerky brands on the market, it's owned by CorLa Foods based out of Alameda, CA. The company was started by Jenny Ma, who with her family would make frequent trips from San Francisco to Los Angeles down the coast, stopping at shops and stores and picking up bags of jerky to much on. But not finding anything that really knocked her out, Jenny decided to try her hand at making her own jerky. 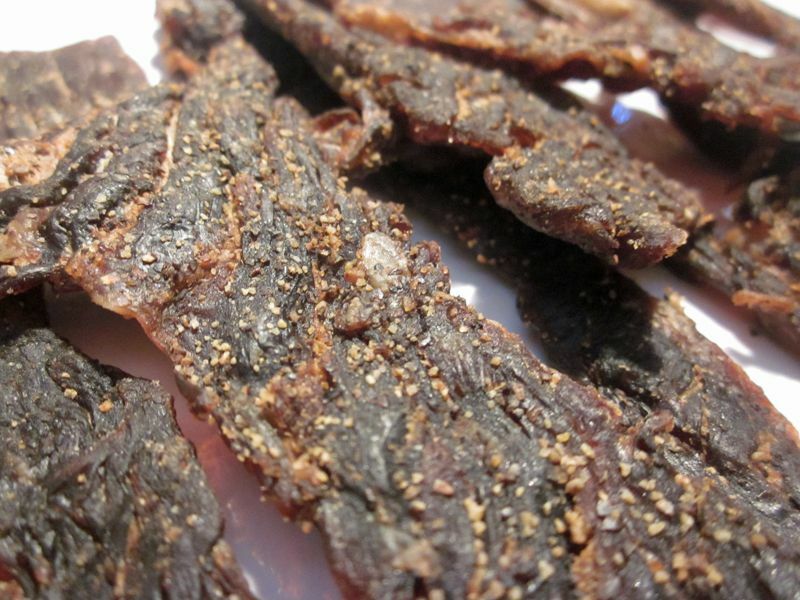 So after a few years of experimenting with various recipes, Jenny's Jerky was born. The brand currently offers three flavors, this Original, along with a Honey Teriyaki and a Spicy. Beef, soy sauce, Yoshida Sauce, worcestershire sauce, brown sugar, garlic powder, onion powder, salt, liquid smoke flavoring. The first thing I taste from the surface of these pieces is a light sweetness, with a light worcestershire flavor coming in soon after, and a touch of smokiness. 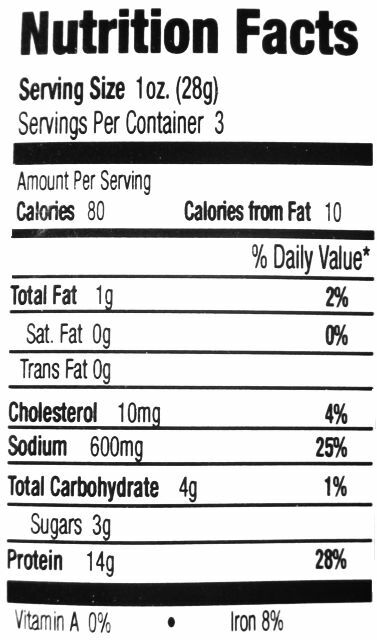 The chewing flavor starts with a well noticeable natural meat flavor, and a moderate saltiness. I can pick up some garlic and onion, and some black pepper. 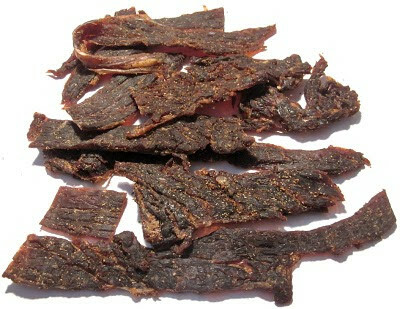 The flavor(s) that seems to represent this jerky the most is a natural meat flavor with a black pepper bite, and a light sweetness. The light worcestershire sauce comes in after, and there's perhaps subtle hints of the soy sauce in there. The garlic and onion seasoning adds more depth to the overall flavor. 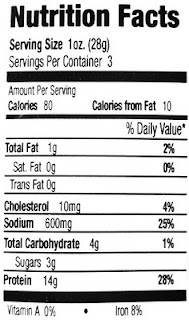 The natural meat flavor has a light bit of a fatty flavor mixed in due to many of these pieces having small bits of fat. Overall, what you're going to notice in this is that natural meat flavor, with the black pepper, and a lightly sweetened worcestershire, along with some garlic and onion flavoring. Several of these pieces have small bits and streaks of fat in them, and they seem to add a fatty flavor too. One strip had a large streak of fat that was quite chewy. I also found a fair amount of stringiness, and some occasional unchewable tissues. In terms of clean eating, my fingers don't pick up any residue, but I do get a fair amount of seasoning falling off these pieces as I bite chunks off. 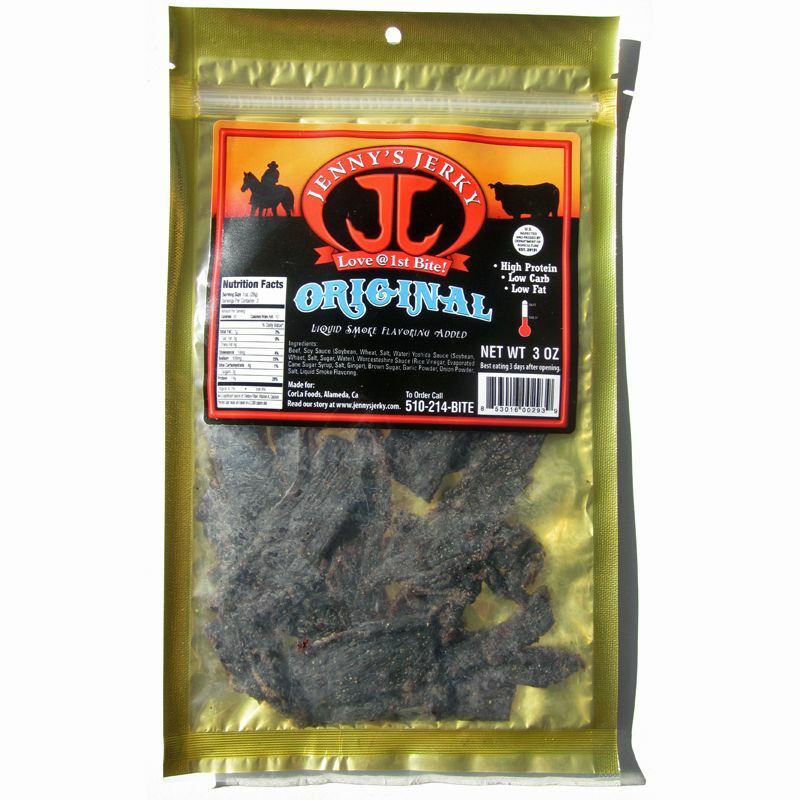 Jenny's Jerky sells this Original variety from its website at a price of $5.99 per 3oz package. If you bought five packages, the shipping to Southern California is $11.95, for a total of $41.90. That works out to a price of $2.79 per ounce. For general jerky snacking purposes, at the $2.79 per ounce price, this seems to provide a decent value. I get a good deal of snackability for an overall good flavor, decent meat consistency and and average chewing texture. That price is considerably higher than you'd pay for major brands of jerky at a grocery store, but seems to provide more snackability too. This Original variety from Jenny's Jerky seems to have a well rounded flavor with a natural meat flavor, a saucy marinade, a moderate saltiness, a light sweetness, a peppery bite and a savory light garlic & onion seasoning. Compared to other brands of original flavored jerky, Jenny's seems to go above the average for that well rounded flavor, which I found to create a lot of snackability. The meat consistency, however, didn't seem to match, having some stringiness and unchewable tissues, along with a mushy chewing texture. But I think flavor was good enough to offset that.